Hey there, everyone. I hope you're all having a great Saturday. I just got back from the grocery store (I'm typing this up a decent amount earlier than it is set to go live) so I can get ready to have some company over for a low-key Halloween party. I'm making cookies, chocolate-coated peanut butter balls, and gumbo. Should be a good time. I'm sure a lot of you have somewhat similar plans. 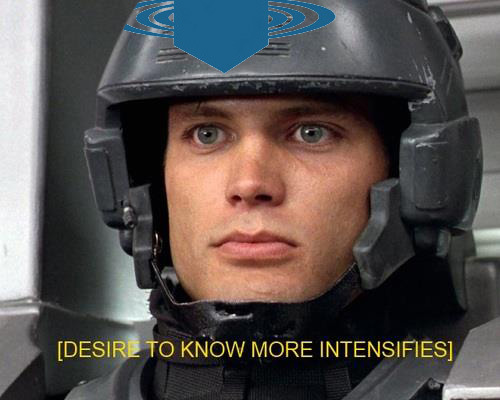 As for the moment, though, before I dive into a bit of last-minute cleaning and then work on cooking, let's get you those gaming reviews I know you all so desperately desire. This week we have: Bankers and Robbers, Dungeon Saga, Harry Potter Deck-Building Game, Conquest Games' Medieval Archers, Mysterium, Aeon's End, Love Letter: Premium Edition, Mortem Et Gloriam, The Networks, Eclipse: Shadow of the Rift, Tumult Royale, Necronomicards, Cthulhu Crusades, and Loony Quest. So yeah, while Monday follows the weekend, so does Tuesday follow Monday and we work our way fully into the week. Eventually we'll swing back around and get to the weekend. Personally, I'm looking to try and do some cooking this weekend. I've not really cooked anything major in a while. I need to change that. Also, Guild Ball on Friday, hopefully. So there's that. But before we can get there, we need to finish up what we've got going on here. In this case, it's our Podcast Roundup. Today we have: Guild Ball Tonight Episode 43: The Long Con, Singled Out Podcast Episode 12 – Designing Veterans with Jamie Perkins, Meeples & Miniatures – Episode 176 – Honours of War, Epic Gaming Night Podcast Ep 67 Board Game Blitz - Part 1, Epic Gaming Night Podcast Ep 67 Board Game Blitz - Part 2, The Polyhedron Collider Cast Episode 9: Gen Con 2016, Game Classy 120: Gen Con ’16 Part 1, News of the North – 2016-08-23, Lost Hemisphere Radio ep114: The Gen Con Interviews, Tales of Malifaux 37, Plaid Hat Games Podcast Episode 213 Gen Con Recap 2016, and Primecast Episode 35. Well, one day down. Four to go until the weekend. We should be able to make it there pretty easily, I'd say. At the moment, our attention turns to talk radio. Specifically, the talk radio of podcasts. There's a trio of them we've collected over the past week and present them to you now for your listening pleasure. 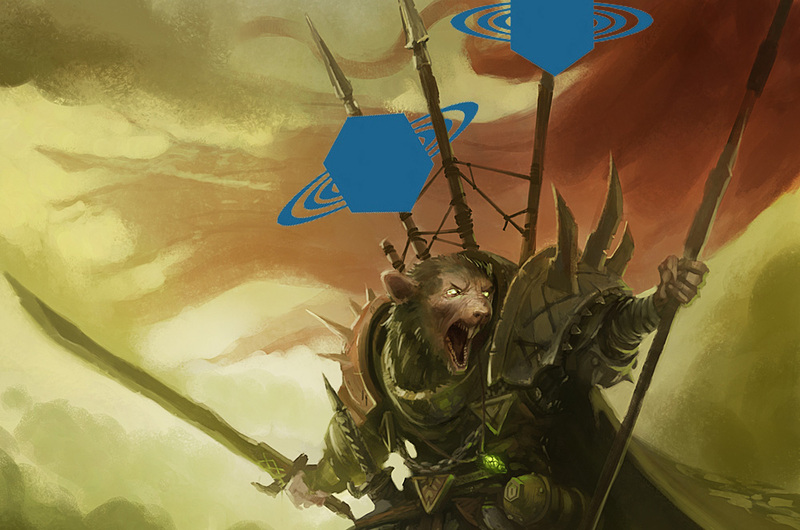 In this batch we have: Privateer Press Primecast Episode 20, Lost Hemisphere Radio ep111, and Geeks of the North Episode 16 – Exciting games ahead. Welcome once again to Tuesday, dear TGN readers. Hopefully you had a good day yesterday. We had a nice BBQ here at the office. There were hamburgers and hot dogs and chicken legs and pork ribs... Yeah, it was tasty. Leftovers, too. So that'll be lunch today. But enough of what I'm stuffing my face with. Let's focus on what you should be stuffing your ears with (that... seemed a lot better of a transition in my head...). We've got our regular Podcast Roundup. In this installment we have: Lost Hemisphere Radio ep110, CoolMini Cast #2, Game Classy 88: Dust Tales WOOHOO!! 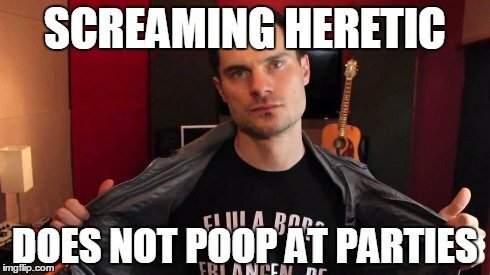 !, Adeptus Infernus 023, World’s End Radio Episode #85 – Watch The World Burn, and Screaming Heretic Episode 83 – Flula. 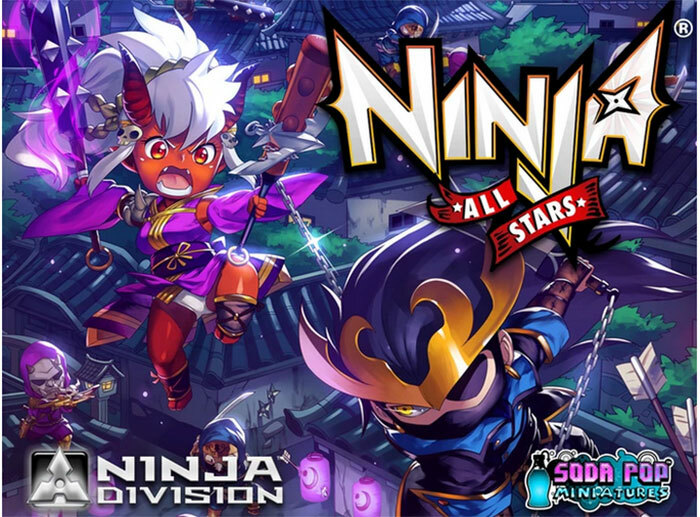 Lost Hemisphere had themselves a talk with John Cadice of Ninja Division/Soda Pop Miniatures about their Ninja All-Stars game that's currently up on Kickstarter (and in their final couple days). They get into the background behind the game design, some more info about the campaign system, and some things about the relationship with Kickstarter campaigns. Here we are again on Tuesday. Seems we got here pretty quick. Monday, thankfully, came and went without much of a hitch, at least here. Hopefully yours was much the same. So anyway, we've got our regular segment here of collecting the week's podcasts for you to listen to at your leisure. In this grouping we've got: Game Classy 83: Thursday Night, Geeks of the North Episode 12: Templecon recap, Ronnie and Luke Talk: DreadBall Xtreme Part 02, Mantic Podcast Episode 14, Adeptus Infernus Dataslate 02 and 03, and Lost Hemisphere Radio ep109: Cherchez la femme. It's Tuesday already. Did Monday fly by for anyone else? It certainly did for me. So we've got another set of new podcast shows we've collected over the past week. This installment, there's: Game Classy 82: Stupid Baby’s Game, Screaming Heretic ep78: In Memory of Greatness, Lost Hemisphere Radio episodes 107 & 108, The Shiny Model Syndrome Episode 76 - Choices, choices..., Gamers Lounge Ep 104 – It must be Wrath of Kings, and Beyond Kalidasia - S03E01 Things to Think About. It's that time again for another posting of the podcast produced previously this past week. As always, there's a new episode of Removed From Play, episode 105 of Lost Hemisphere Radio, Episode 14 of Privateer's Primecast, Screaming Heretic 75 (because we can't just have Privateer-related stuff), and Gamers Behaving Badly. Lost Hemisphere has posted episode 103 of their podcast up online for your listening pleasure. After a brief delay that may or may not be related to one of our hosts trying to develop lazer eye beams, Lost Hemisphere Radio returns! This time around we’re dragging through the Kriels and talking Trollbloods. Our guest shares his thoughts on Exigence releases, it’s pretty much agreed that Trollkin Scouts are excellent value for their points, and Gdaybloke won’t bloody well shut up about Gunnbjorn. Recommendations for newer players, challenges for veterans, all the shenanigans. Lost Hemisphere has posted episode 102 of their podcast up online for your listening pleasure. Lost Hemisphere has posted episode 101 of their podcast up online for your listening pleasure. Yay! We made another episode after the last one! I can tell you’re excited, if only to find out who won the remaining prizes from our Episode 100 lavishing of gifts. This episode we have a secret surprise return guest that Northblade insisted be a secret surprise, even though – and we have this on good authority – he’s not very good at being Dr Arkadius. Join us as we talk about a bunch of Privateer Press stuff ranging from Warmachine and Hordes to IKRPG and Privateer Pins. Oh, and we get in a Zombies Keep Out! reference as well. Lost Hemisphere has posted up episode 100 of their podcast up online for your listening pleasure. A long time ago the decision was made to take the flavour and tone of Lost Hemisphere, the blog, to your ears, dear listeners. We started Lost Hemisphere Radio and while the road hasn’t always been smooth, we’ve pottered along until we finally made it all the way to episode 100. This is a landmark for us, but more importantly for you, our listening audience, who’ve been putting up with our banter for an awfully long time. We want to reward your endurance by giving away a bunch of stuff. Thanks to our friends at Privateer Press and Soda Pop Miniatures we’re giving away a pile of stuff this episode and we’ve got some more to give away yet. Please join us as we celebrate our Centennial episode with a handful of listeners, some letters, and oh, we did a bunch of interviews with Privateer Press too. 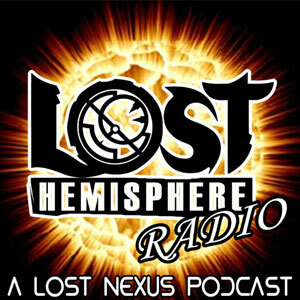 Lost Hemisphere is right on their cusp of their 100th episode. In celebration, they're giving away tons of stuff. Lost Hemisphere Radio is on the verge of their centennial episode, so in true Lost fashion they're going to give a bunch of stuff away. Follow the blog, Facebook, Twitter, and get in the draw to win something from the awesome pile of Privateer Press and Soda Pop Miniatures prizes! Lost Hemisphere has posted episode 99 of their podcast up online for your listening pleasure. Your Lost pals Gdaybloke and Northblade are back with their very last episode of Lost Hemisphere Radio in the double digits. With episode 100 right around the corner, the boys have dragged in not one but TWO Travis’ to debut a new ongoing discussion series talking about specific characters that we all love for one reason or another. Out of the gate we’re crushing on Eiryss, discussing all three of her incarnations, and while we’re at it telling you how you can partake of the dirty great pile of prizes that we’ll be giving away in our next episode. Lost Hemisphere has posted episode 98 of their podcast up online for your listening pleasure. 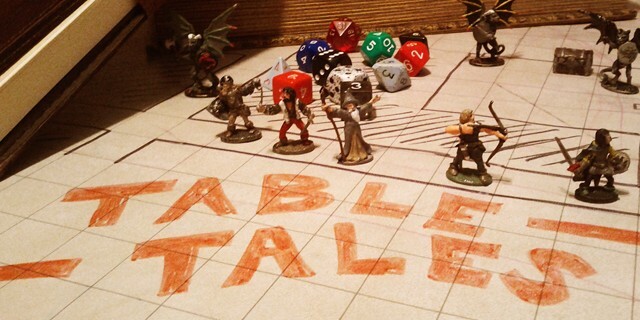 It’s time to tune your ears in for a discussion between the Noble Northblade and the Gregarious Gdaybloke as they discuss a first-time GenCon attendee’s experiences at that most enormous of gaming events. Also, there’s a bunch of interviews at the end if you’re into that sort of thing. Ninja Division, Hawk Wargames, Wyrd, and of course, Privateer Press all have nuggets of wisdom to share. Please, enjoy. 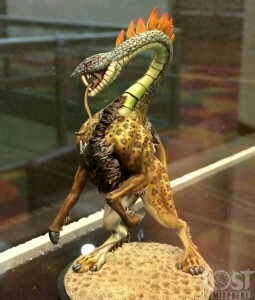 Lost Hemisphere has posted up a gallery of photos of some of the awesome minis they saw at GenCon last weekend. Lost Hemisphere's Gdaybloke made it to GenCon! Holy Toledo! Or Holy Indianapolis, I guess... anyway, Lost Hemisphere is sharing photodumps from Gencon all this week, including a collection of painted miniatures seen on display in some of the booths and painting competitions. Enjoy! Lost Hemisphere took a look at the new Satyr heavy warbeast kit from Privateer Press and gives you their thoughts with this unboxing article. Lost Hemisphere cracks open the Satyr Heavy Warbeast Kit from Privateer Press, releasing this month. Gnarlhorn, Shadowhorn or Riphorn - What's your personal favourite flavour of combat goat? Lost Hemisphere has posted episode 94 of their podcast up online for your listening in pleasure. With the latest Lock & Load convention wrapped up, it’s only appropriate that we corral our Lostie On-Site Natalie and pick her brains about her convention experiences, tease her about her pin lanyard, and otherwise boggle at she sheer amount of saliva she’s able to produce when staring at Absylonia’s new model. Add to the mix a recurring Lost guest who, like Natalie, is devoted to Everblight and all his frosty blightiness, and you end up an episode of Lost Hemisphere Radio that can justify an alliterative episode title. Join us, won’t you? Lost Hemisphere has posted episode 93 of their podcast up online for your listening pleasure. 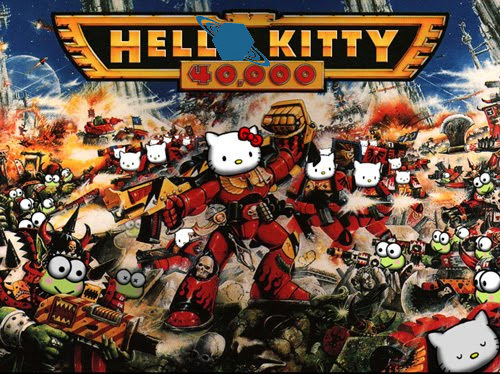 So then there was that time when Gdaybloke returned from a trip to the Old Country, and he had a guest on the podcast, and they talked about No Quarter No.54, and new releases, and Warmachine, and Super Dungeon Explore Arena, and the single largest Warmachine/Hordes tournament we’ve seen on Canadian soil in years, and then there were interviews with Australians including a brand new Press Ganger, a retired Press Ganger, a pro painter, and one of the guys trying to wrangle Australia’s first national team championship. Oh, and we talk Skull Island Expeditions too. Lost Hemisphere is reviving their monthly painting challenge where participants can win free swag for painting their Warmachine/Hordes minis. Gaming blog Lost Hemisphere has revived their monthly painting series, Paint The Target, with a challenge aimed at their Warmachine & Hordes audience, coinciding with Games & Gear's Painting Days for June 2014. The challenge? Simple. Paint a Warjack or Warbeast. Email in the pic and one randomly drawn participant will receive a prize for their efforts from Lost Hemisphere's stock of goodies. So... what are YOUR brushes doing this week? Lost Hemisphere has posted episode 89 of their Radio podcast up online for your listening pleasure. The Meta-Sode has our Hero Northblade joined by a special co-host and brand new guest to talk about the Southern Ontario Open Masters event, why players choose to travel to other venues for events and why co-hosts are OP. Sit back, relax your ear canals and get ready for some intense aural action in Lost Hemisphere Radio Episode 89! Lost Hemisphere has posted episode 88 of their Radio podcast up online for your listening pleasure. We live in exciting times, fellow gamers. Lost Hemisphere’s favourite game, Warmachine, is on the verge of a new book release, we’re moving out of the colder months and inching closer to the Summer convention season, and there’s a plethora of neat games in development through crowdfunders like Kickstarter. For this episode of Lost Hemisphere Radio we took the time to natter with the developers of the Guild Ball and Mutant Chronicles kickstarters. Might they be up your alley? Have a listen, see what you think. Also, Other Travis is now a pirate. Lost Hemisphere has posted episode 87 of their podcast up online for your listening pleasure.